El reverso de la moneda representa una maravilla arquitectónica en impresionante profundidad dimensional, sobre el río Támesis, el Puente de Londres (o Tower Bridge, como también se lo llama) está cortado majestuosamente contra un campo de nubes onduladas. 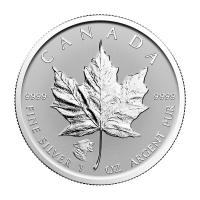 Also on the reverse is the coin’s ‘Tower Bridge’ title, as well as the 2018 year of issue, the coin’s weight and .999 silver purity. El anverso presenta un llamativo perfil de Elizabeth II, que aparece en detalle sobre un campo de diseño de texturas único y geométricamente deslumbrante que eclipsa el campo de la versión anterior. 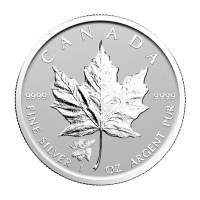 Also on the obverse is the coin’s denominational value alongside Elizabeth II’s full regal title. Reverso Imagen del Tower Bridge y las palabras "Tower Bridge 2018 1 oz 999 Plata Fina"
Imagen del Tower Bridge y las palabras "Tower Bridge 2018 1 oz 999 Plata Fina"
Monumentos de Gran Bretaña 2018 de 1 oz | Moneda de Plata Bridge Tower Buy your 1 oz 2018 Landmarks of Britain Tower Bridge silver coin from our shop and we’ll make sure you enjoy the best price online. 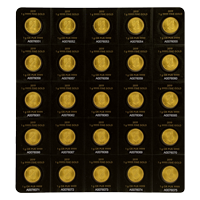 This coin is the second addition to the latest bullion series from the Royal Mint; featuring and entitled the ‘Landmarks of Britain’ series, this program will feature four releases in total and boasts a very limited mintage. El reverso de la moneda representa una maravilla arquitectónica en impresionante profundidad dimensional, sobre el río Támesis, el Puente de Londres (o Tower Bridge, como también se lo llama) está cortado majestuosamente contra un campo de nubes onduladas. 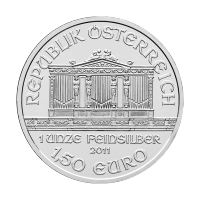 Also on the reverse is the coin’s ‘Tower Bridge’ title, as well as the 2018 year of issue, the coin’s weight and .999 silver purity. El anverso presenta un llamativo perfil de Elizabeth II, que aparece en detalle sobre un campo de diseño de texturas único y geométricamente deslumbrante que eclipsa el campo de la versión anterior. Also on the obverse is the coin’s denominational value alongside Elizabeth II’s full regal title. The first coin in the ‘Landmarks of Britain’ series also featured one of London’s most iconic towers, ‘ Elizabeth Tower’ or as you may have come to know it…’Big Ben’. 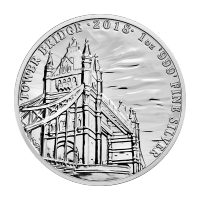 Order your 1 oz 2018 Landmarks of Britain Tower Bridge silver coin today, with the series’ limited release and low mintage value, combined with this unique architectural heritage theme, these coins would be a smart choice for any investor wishing to diversify their holdings.